The scattered Tribulation Force is drawn toward the Middle East, as are all the armies of the world, when human history culminates in the battle of the ages. During the last year of the Great Tribulation, safe houses are no longer safe and the world has become a powder keg of danger. Except for those already in Petra, everyone has been forced to relocate as the Antichrist ratchets up the pressure in the world’s most treacherous game. As the Trib Force waits for the coming of Christ, Chloe Williams is drawn out of the safe house to investigate something suspicious. Buck and Tsion travel to Jerusalem while Nicolae Carpathia orders an attack on the city, and Rayford becomes seriously injured outside Petra. 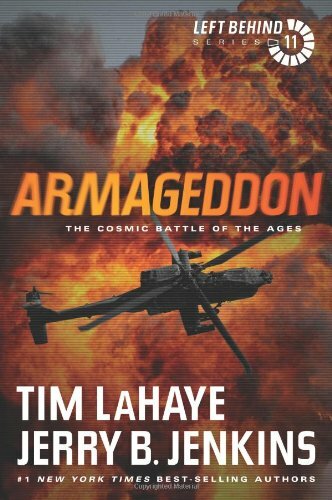 Who will survive Armageddon? A repackage of the eleventh book in the New York Times best-selling Left Behind series.